The year 1991 will always be remembered in World Series of Poker history as the year when the main event first-place prize grew to $1 million. This made even the most die-hard cash-game players take note and focus their energy on the world championship tournament. Even the preliminary events had first-place prizes worth over $200,000. Doyle Brunson won one of those events ($2,500 no-limit hold'em) to pocket $208,000 and his seventh bracelet. 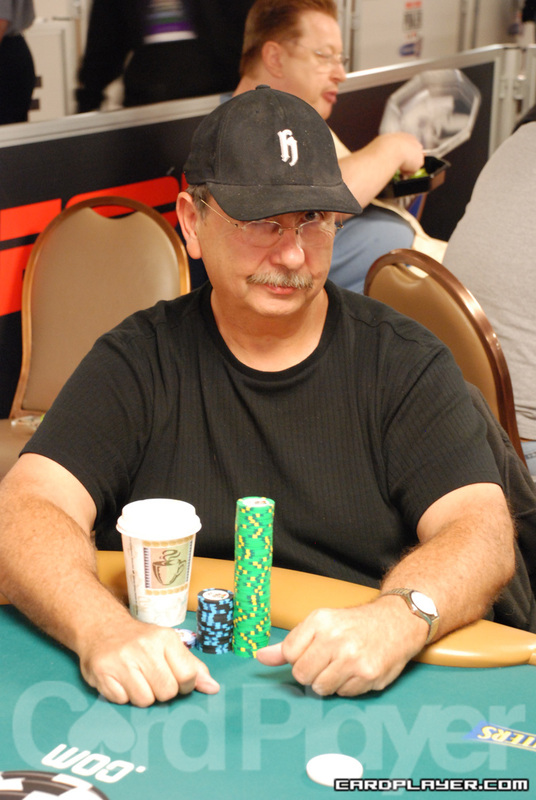 Jay Heimowitz added a third bracelet to his collection that year ($5,000 pot-limit Omaha), while John Spadavecchia ($5,000 deuce-to-seven lowball) and Byron “Cowboy” Wolford ($5,000 limit hold'em) won their first. The large size of the prize and the large size of the field created an atmosphere of spectacle. Puggy Pearson famously made an appearance dressed as an Arab sheik that year, although he wouldn’t last long in the tournament. The large tournament size began to require that a player receive more than their fair share of luck to go along with their poker skill if they hoped to make the final table. None of the 13 prior champions of the event made it to the final table. Bobby Baldwin came the closest, busting in 29th place. The three players who did make the final table in 1991, but not the television table of six were Donnacha O’Dea, Danny Hunsucker, and Hilbert Shirey. When the cameras started rolling on the final six, the table included: Ali Farsai, Perry Green, Don Williams, Rob Veltri, Don Holt, and Brad Daugherty. Outside of Green (runner-up in 1981) none of the players had final-table appearance. Farsai quietly exited in sixth place before a hand that changed the complexion of the table went down. Veltri raised to 30,000 preflop and Daugherty chose to reraise all in for 190,000 with A-K. Green then reraised all in for 305,000 with two eights in the hole and Veltri called them both down with pocket jacks. An ace came on the flop to triple up Daugherty, give Veltri the side pot, and eliminate Green in fifth place. The battle that led to the fourth-place elimination was a battle of Dons as Holt called an all-in bet by Williams preflop. They turned up their cards and Holt had Williams dominated with A 10 over A 9 . A 10 on the flop settled the matter when Williams failed to pick up a flush draw, and he was out in fourth place. Another hand came up soon thereafter where one player had the other dominated, but things went a little different the second time around. Veltri held K Q over the K J of Daugherty, but the board was dealt Q 10 9 , and Veltri called Daugherty’s all-in raise after the flop. It was the final decision he made in the main event as he was eliminated in third place. Daugherty kept his good fortunes and momentum going in the heads-up match against Holt, making a ten-high flush to defeat Holt’s nine-high flush and win a half-million pot at the start. He jumped into the lead in yet another dominant-hand situation. Daugherty was the owner of A-10 in the hole against Holt’s K-10. A 10 fell on the flop and the kicker battle went to Daugherty. He took down another 1.15 million and was now in control. A few minutes after that Holt moved all in on a flop of J 9 8 and Daugherty called him down. Holt turned over 7 3 and Daugherty was way out in front with K J . The turn and river brought a 5 and an 8, and the tournament was over. 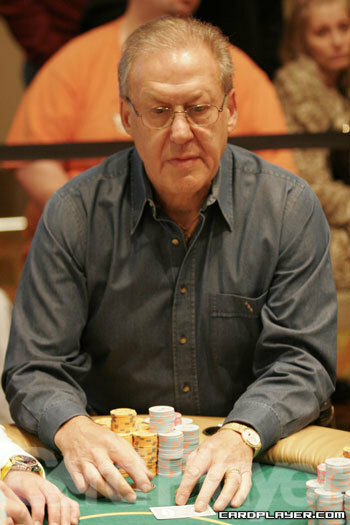 Daugherty was the first millionaire world champion in the history of the WSOP.